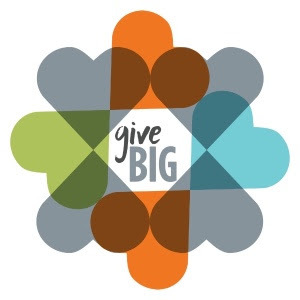 Give Big is coming! How can you support tSB? The Seattle Foundation’s 6th annualGiveBIG is right around the corner onTuesday, May 3rd, 2016. GiveBIG, The Seattle Foundation’s annual online fundraising event is an incredible opportunity to show tSB some love. Thanks to The Seattle Foundation, whatever amount you choose to donate through our online giving profile will be stretched to maximize YOUR giving. Do you hear the chorus of celebratory song? We do! You can support tSB today by heading over to our online giving profile. Not only will The Seattle Foundation stretch all gifts made through this interface, but our amazingly generous and supportive business partner evo will be matching all new gifts supporting the Service Board. Once again, cue the chorus. I found tSB through my best friend, who at the time was a peer leader. I had no idea how to express my opinions and where I stood with most social justice issues. I was unaware of the things that are affecting our communities and the people we love. During program I have met adults that not only respect my voice and opinion but also listen to what I have to say. I have met people that are now my family. The Service Board is not just a nonprofit–it is a family, one where people from all cultures and all opinions come together to challenge each other’s ideas with love. I am a youth that has acquired a new vocabulary that accepts all people and ideas. I am a youth that is able to respectfully challenge other people’s opinions. I am a Peer Leader that is excited to watch the tSB Prophets grow and I’m excited for the challenges 2016 will bring because with tSB, I can do anything.